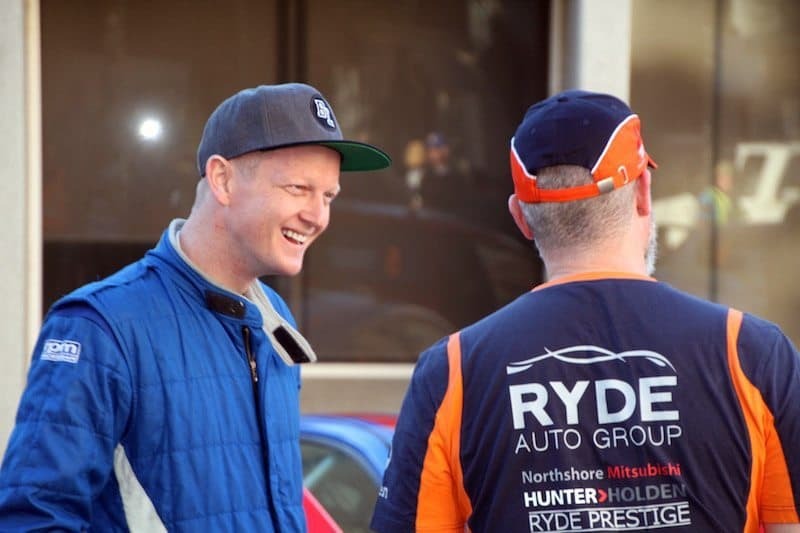 Glen Raymond’s 2018 Australian Rally Championship campaign is over, with the former ARC round winner also calling for greater freedoms to the Production Rally Car (PRC) regulations. The Victorian, who achieved admirable results in the first two rounds in Victoria and Western Australia in a Mitsubishi and a Subaru respectively, missed the third round in Canberra. RallySport Magazine’s Matt Whitten chatted to Raymond about his decision. RSM: Round 1 in Ballarat saw you set some competitive stage times, yet your weekend was plagued with issues. In a new car (for you) were you happy with the way things went? Glen Raymond: I was happy with my speed, but new car dramas are always a factor in a mechanical sport. The car is fast and proven, I have just have to punt it harder! The pace and car quality has definitely lifted from last year, so I was happy to still be consistently tussling in the top three. RSM: You drove a borrowed Subaru at round two in Western Australia. Had you planned on taking the Evo over if it were not for the offer to drive the Subaru? GR: The offer from Pete (Schey) was just good timing and from a good bloke, as I hadn’t planned on entering. I did it purely for the enjoyment of it, plus for added exposure for Sky Refrigeration and Raymond Partners Accountants. I hadn’t driven the car on dirt until I got to the first stage, so was happy with third outright on the first day, especially as it is only running on pump fuel. A few issues, including a flat, meant I came home fourth for the weekend, but with a straight car, which was always the plan. RSM: You did not compete in Canberra. What was the reason for this? GR: I decided before the start of the year that if the AP4 and R5 cars are entered and were as fast as expected, I wouldn’t bother chasing the championship. I know it is the pinnacle of Australian rallying, and know more than most that it is competitive and expensive. However, there are extra rounds and to be able to win you need to now be spending serious cash, of which very few can afford. They are great for the championship spectacle, but it makes it a closed battle for only a few competitors. Allowing freedoms for PRC cars and less events may open it, allowing more competitors the chance of winning, and also increasing interest. RSM: The ARC heads to Tasmania this weekend, but you won’t be there. Why not? GR: I did the numbers, and between my co-driver (Kate Catford) and I, we only have two spare kidneys and that won’t be enough to hire an R5 (joke! ), so I’ll keep busy preparing tax returns back home. 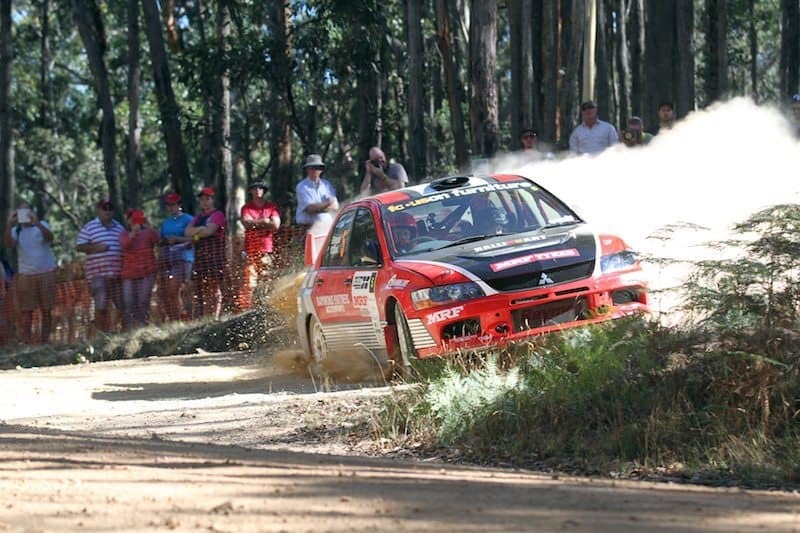 RSM: Lastly, what are your rally plans for after Tassie? ARC events? VRC events? Coffs Harbour WRC? GR: Likely no more ARCs this year for me this year. I plan on doing at least one VRC later this year with an improved Mitsubishi Lancer Evo. I love driving and doing skids, and next year I will be doing some more events, but with the aim to add different events and more experiences.